I had seen a Banana Hanger in my uncle Deekshit's house in Bangalore, similar to the one pictured above. It was a dining-table-top model. It was so beautiful. I too wanted to make one as there was a need for one at home. We have no dining table as we prefer the floor in the old system that existed prior to the 'dining table era'. So my design of the hanger had to be different. I had purchased a small length of high quality steel wire that was very strong. It was for making a holder for reading books. There was a piece of this wire preserved carefully as this was a bit expensive. I had to use the wall to hang bananas. There was one suitable for this in the kitchen. After choosing the spot, I went in search for a suitable wooden piece to be fixed there. I found an odd piece in the 'wood scrap' box. Made needed holes, one for fixing the screw to the wall and one for the wire hook to hold bananas. I bent the wire like the 'U' with a little tongue and fixed it to the wooden piece and painted it. This piece of the 'tongue' once had almost pierced my eye as I bent to pick up something on the platform underneath. So I put a wooden bead to cover the sharpish end. 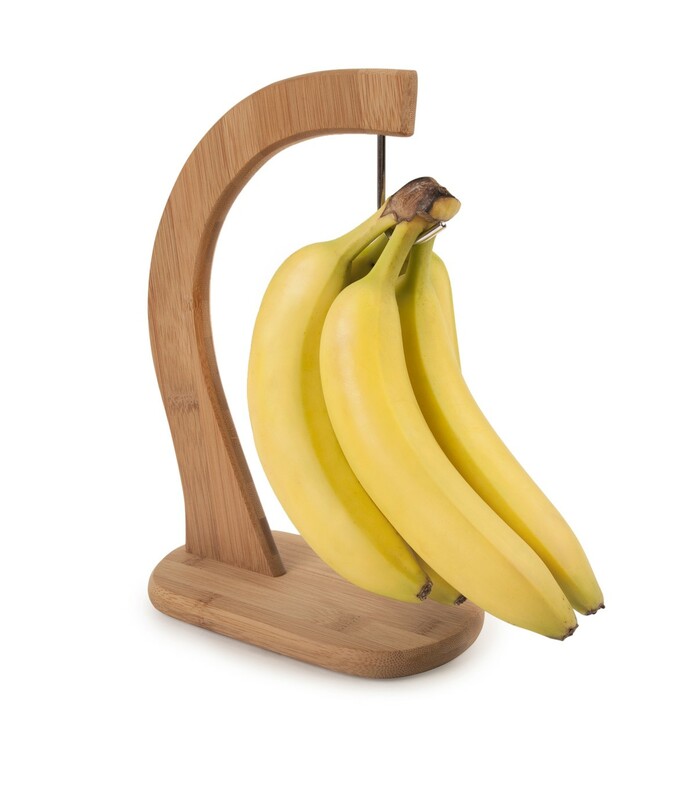 The Banana Hanger is such a useful thing to have in homes! Hanging the bunch by a hook is the best method. PET bottles for rain water spout, etc.